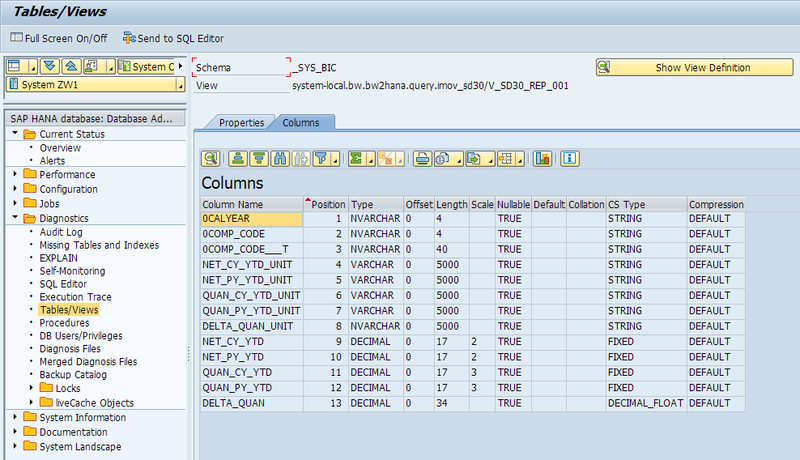 The scope of the document is to show how SAP HANA Exit variables are working for column selection for standard YTD reporting and delta calculation using native SQL. As a result the native SQL statements on generated calculation views work nearly similar as a SAP BW Query. 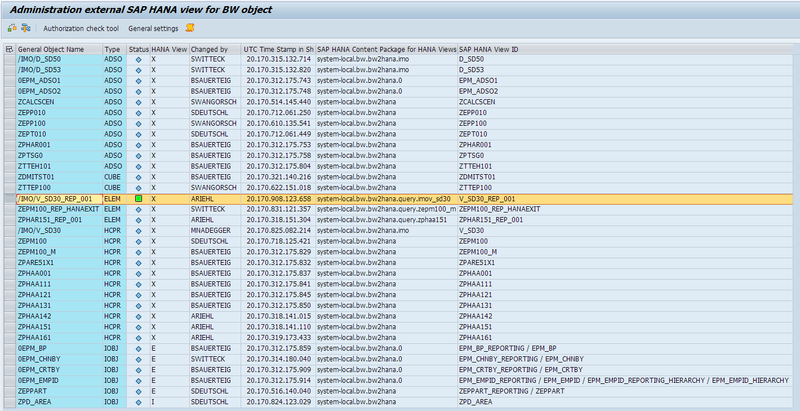 By using HANA Exit variables the Query can be used within SAP BW and natively side by side. 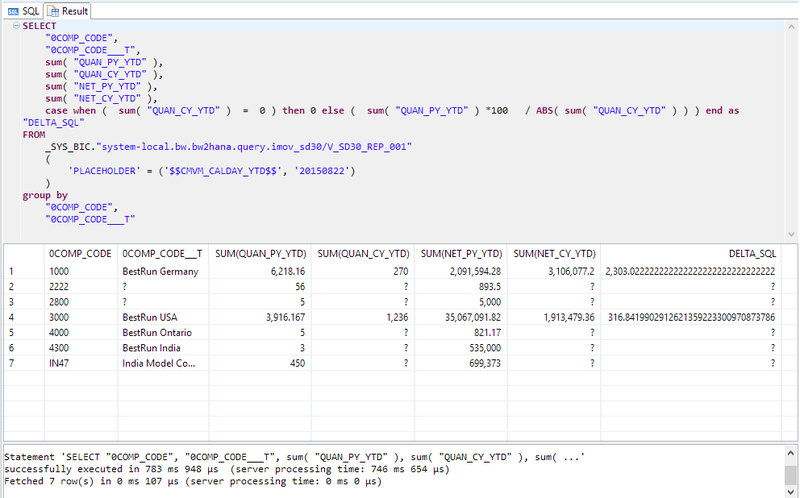 Furthermore complex SQL statements can be simplified by using HANA Exit variables. The document should serve as an example how SAP HANA Exit variables can be used. The first part of the document shows how to generate calculation views out of SAP BW queries and the second part of the document explains how to consume the generated calculation view including the SAP HANA Exit variables natively. Enable that SAP HANA Exit variables are processed. 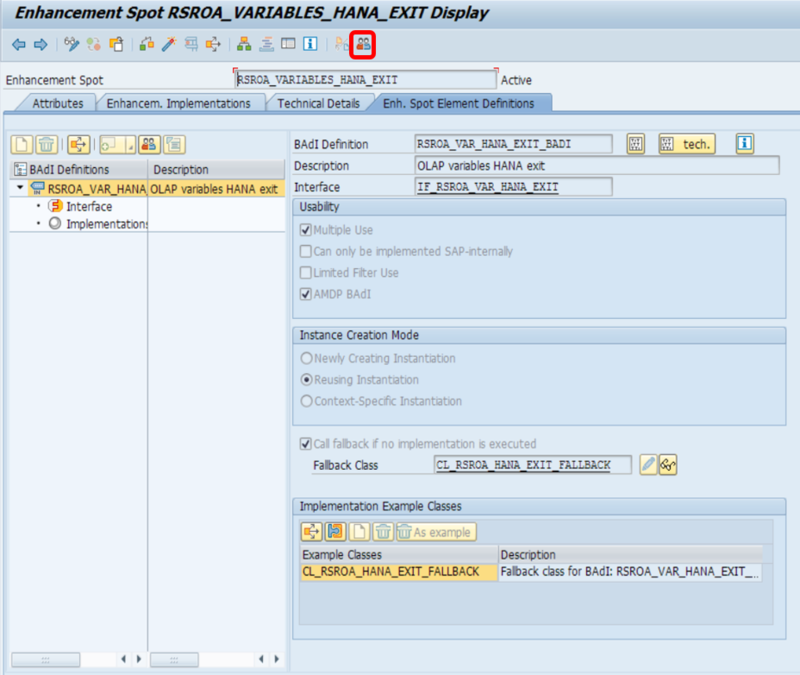 First of all you have to create the enhancement spot based on BAdI RSOA_VARIABLES_HANA_EXIT. Select “Enh. Spot Element Definitions” Tab and click on the icon “Create BAdI implementation”. Save and activate the interface. Next, create an Enhancement Implementation, a Composite Enhancement Implementation and a BAdI Implementation. Implement the class for the YTD variables. 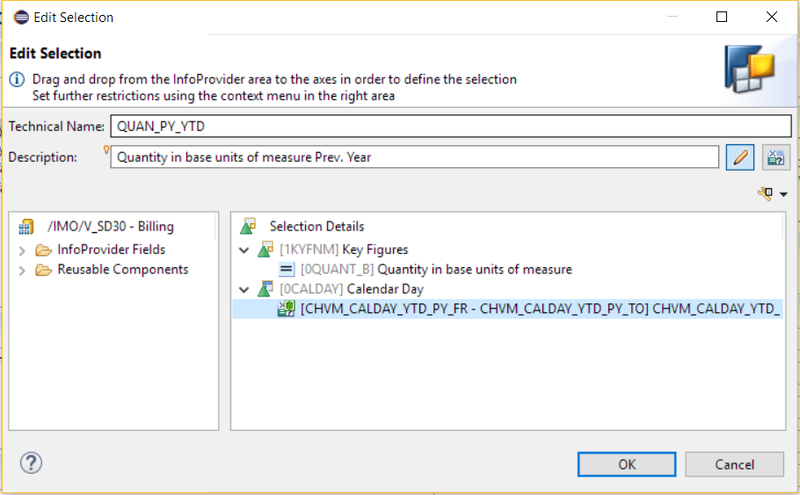 The objective is to calculate from and to values for calendar day based on an input ready calendar day variable. To get these results we’re using a help method _CALCULATE_YTD with year as offset and an indicator for from and to values. This method encapsulates the logic for the YTD calculation and is called by the interface method process. To be able to handle shift years we’re using the script function ADD_YEARS. 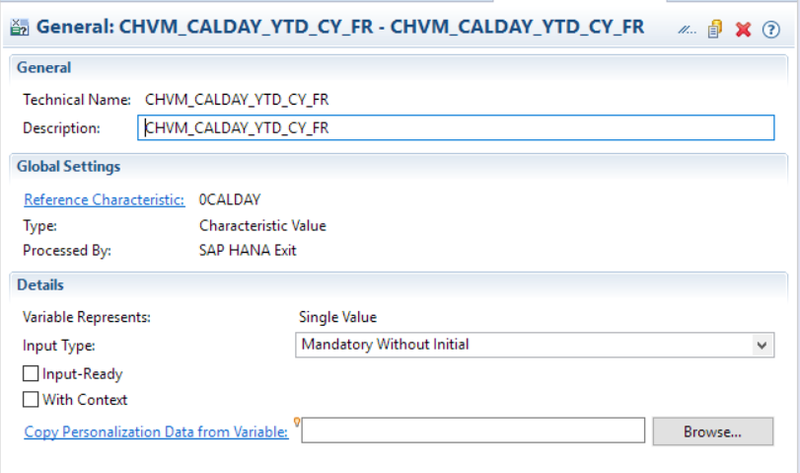 In order to be able to process our HANA step-2 variables we have to store the input value of our input variable (CMVM_CALDAY_YTD) in method GET_PROPERTIES in table C_TS_VNAM_INDEX. method IF_RSROA_VAR_HANA_EXIT~GET_PROPERTIES by database procedure for hdb language sqlscript. method _CALCULATE_YTD by database procedure for hdb language sqlscript. For this example we activated BW Content InfoProvider /IMO/SD_M30 and transferred it to a CompositeProvider by executing program RSO_CONVERT_IPRO_TO_HCPR. On this CompositeProvider, just create a simple query where the HANA Exit variables will be used in the column structure within quantity and net value selections for the previous and current year and delta selection for the quantities. Due to the fact that HANA Exit variables can only process single values, we’re using a range selection with two single value variables. 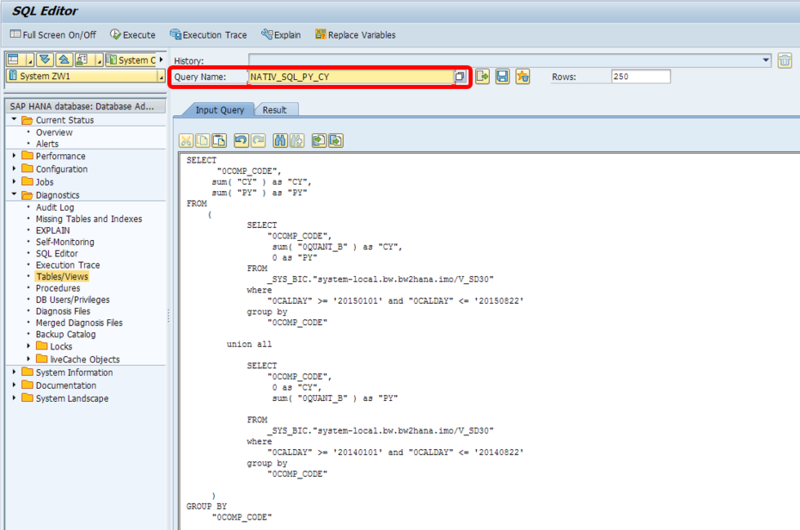 Activate the External SAP HANA View setting in the Query to provide the HANA-native consumption of BW data. 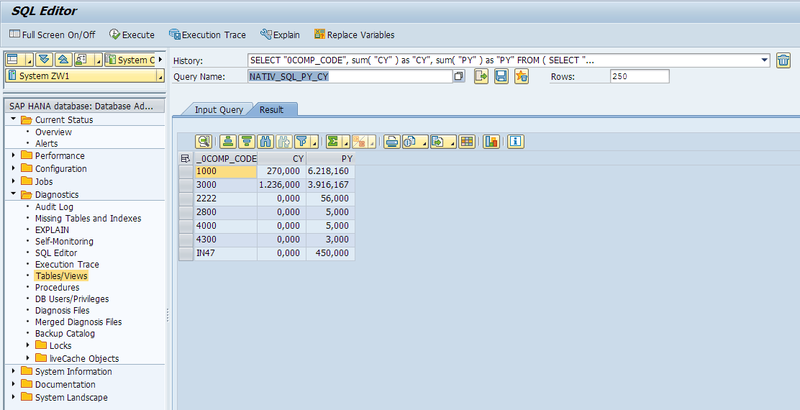 When the External SAP HANA View is activated, a calculation view is automatically generated out of the BW Query object. In a next step go to transaction RS2HANA_ADMIN. 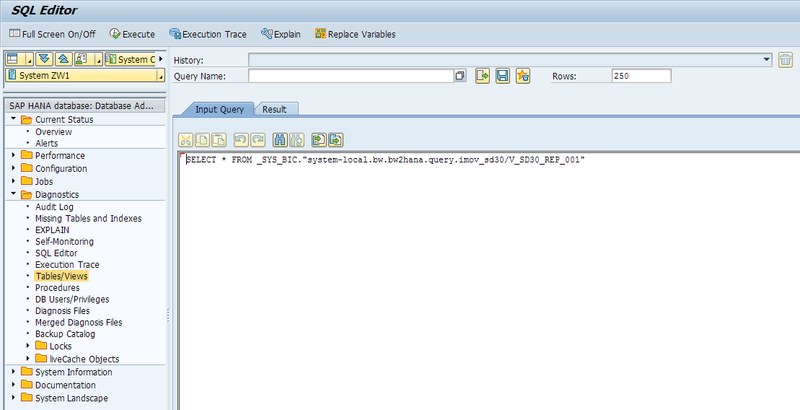 Here the SAP HANA View ID for the Query is shown, just search for the Query name /IMO/V_SD30_REP_001 . Now we can access the generated calculation view natively. 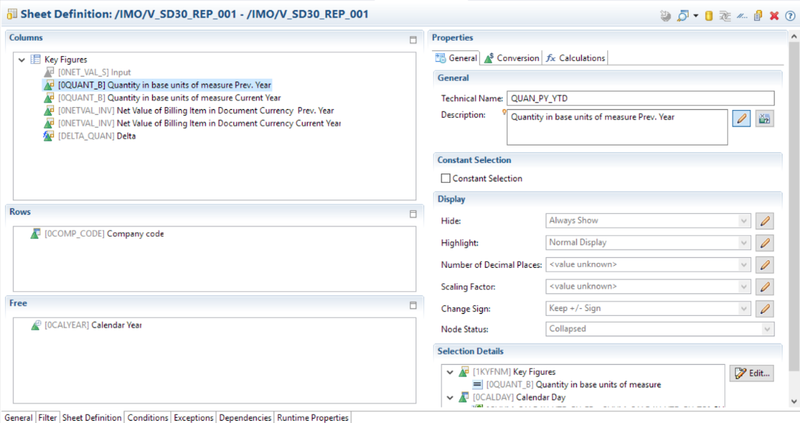 Open the SAP HANA View */V_SD30_REP_001. On the properties tab you see the storage type of the view which is column storage. The columns tab shows the available objects and columns of the view. 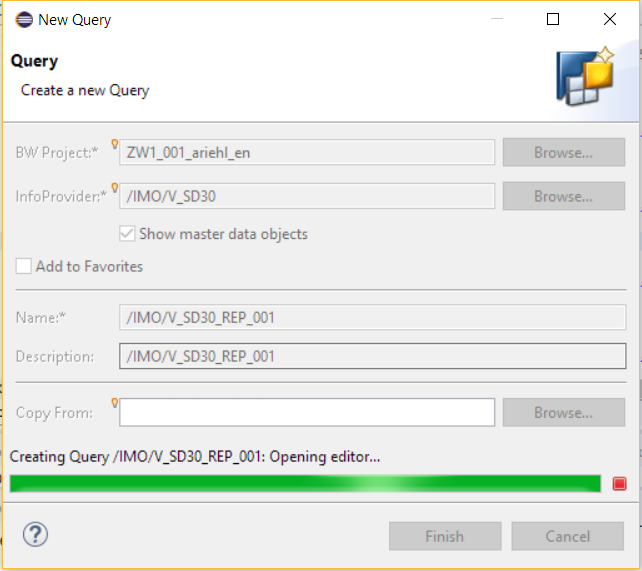 Selecting the “Send to SQL Editor” button, the SQL Editor opens and you can directly build a new query on the view. case when ( sum( "QUAN_CY_YTD" ) = 0 ) then 0 else ( sum( "QUAN_PY_YTD" ) *100 / ABS( sum( "QUAN_CY_YTD" ) ) ) end as "DELTA_SQL"
You can easily calculate new columns using the generated calculation view in the SQL editor. Due to the fact that the division by 0 is not generated into the calculation view we had to take care for this in the SQL statement. The input variable value is handed over in the placeholder section in the native SQL. It is also possible to save the query and call and change it again later. sum( "PY" ) as "PY"
sum( "0QUANT_B" ) as "PY"
SAP HANA variables are a good solution for hybrid scenarios by combining the best of both worlds. So the clue is once the SAP HANA variables are created, they can be used in SAP BW Queries and of course for HANA native reporting. SAP Analytics Cloud is also able to process HANA Exit variables and input ready variables are shown as prompts. This is a good possibility to bring both worlds together but there is also still room for improvement because the handling is not very smooth yet. Thanks for sharing. I have a question. Should I implement all of my variable processing inside the same implementating class or should I create a new BAdi implementation and implementing class for each variable I want to process? I try to create an External SAP HANA View with the HANA Exit Input Variable (the logic that sets the default value for the current month) and the calculated variable (logic for calculating the previous month or previous year’s value by referring to the input variable value). 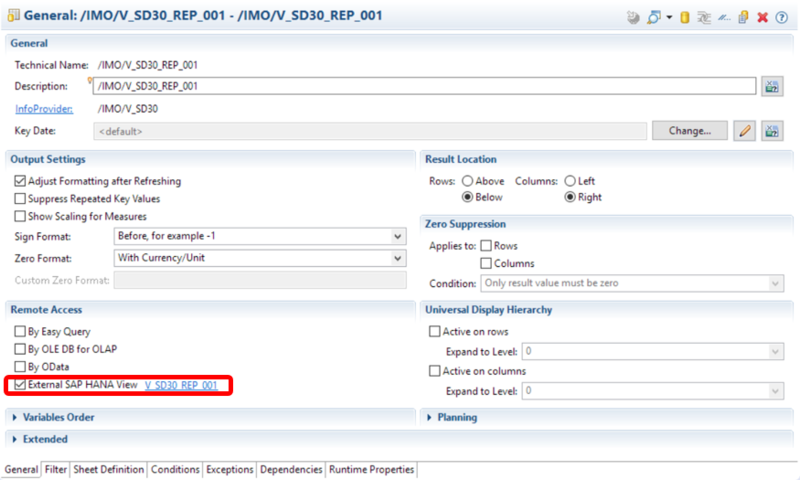 But, there is an error in creating External SAP HANA View like below. When I want to use External SAP HANA View, is it possible to use the variable to calculate the value by referring to the input variable value? Thanks for sharing information, I tried to create this method and come across few doubt. Till class creation everything works fine but have problem creating methods. How you have created method _CALCULATE_YTD . The message I am getting is ZCL.. contains stored procedures which cannot be changed in SAP GUI. So my question is did you create this method in Eclipse or you have created this method in GUI. 2. Can we create multiple Classes for separate functional area or we can write all customer exit in one class.